But there is another famous drink conceived and bottled here in Mexico: Kahlua. 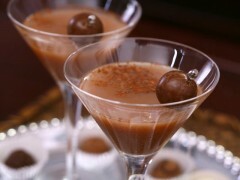 Kahlua is a rum-based, coffee flavored liqueur that is popular worldwide and can be enjoyed on its own, in milk or cream, made into numerous cocktails or as a flavoring ingredient in desserts. Kahlua was first produced by Pedro Domecq in the state of Veracruz, Mexico, in 1936. Its name is taken from the Nahuatl language spoken by the indigenous Acolhua people of Veracruz meaning “House of the Acolhua People”. Truly a Mexican product, Kahlua: The Other Spirit of Mexicois made with the premium Arabica coffee beans grown in Veracruz and sugarcane. 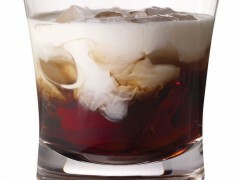 As it grew in popularity, Kahlua added other flavors to its brand including Hazelnut, Mocha, Peppermint, French Vanilla and Kahlua Especial which packs a 35% alcohol content punch. It’s a lengthy 7 year process of growing, harvesting, drying and aging the coffee beans and sugarcane before the distilling process of Kahlua begins. The coffee is roasted in micro-lots and then ground to extract the flavor. It is then combined with the sugarcane, vanilla and caramel and rested for eight weeks before being filtered and bottled. Ready to try some Kahlua? 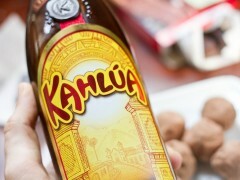 You can find it at any liquor retailer in Puerto Vallarta or Riviera Nayarit and some of the best restaurants and lounges serve delicious and creative creative Kahlua cocktails. When people think of Mexican spirits, the first thing that generally comes to mind is tequila. Contact your Luxury Beach Concierge for recommendations.